Shocking, gripping, and thought-provoking, Mara Gibson's new album SKY-BORN conjures a flurry of emotions through its moody music. In one moment, the busy strings create a fury of anxious, energetic sounds; the next, the strike of a lone piano chord paints a brooding soundscape. 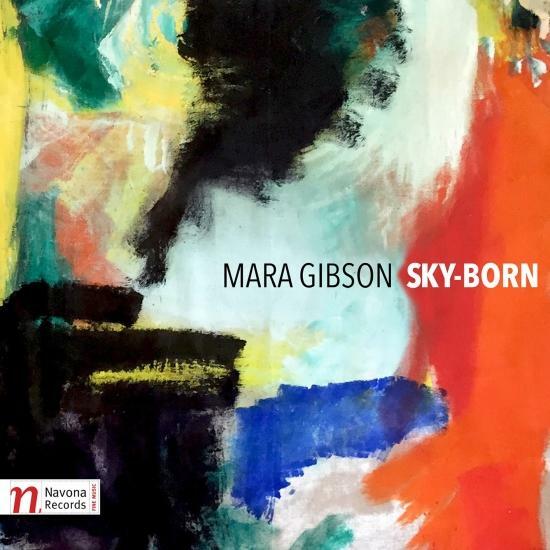 SKY-BORN is Gibson's sophomore album, and the first to be released on Navona Records. She has worked at UMKC Conservatory of Music and Dance for over ten years and will also be teaching this fall at Louisiana State University this year. Gibson's album features compositions performed by UMKC fellow faculty members, the Cascade Quartet, violist Michael Hall, mezzo-soprano Megan Ihnen, and pianist Holly Roadfeldt. Gibson drew her inspiration from a variety of artistic mediums. The piano preludes, which are interspersed throughout the album, were inspired by paintings from Jim Condron (www.jcondron.com), each piece extracting a beautifully haunting soundtrack from a series of abstract art. Gibson also used poems as the foundation for her compositions. The eerie One Voice reflected the writings of the Michigan-based poet Hannah Ensor, while The Folium Cubed is Gibson's response to Luisa Sello's Let Clover Be Aid. Sky-born sets Emerson’s “Music” for four soloists, full of idealism and hope, in the ugliness, and in the reality, something we do not share enough. The 15-minute epic Blackbird carries the reader along a journey of grace and violence invigorated by Thirteen Ways of Looking at a Blackbird, a poem by Wallace Stevens. Though influenced by literary works, SKY-BORN breeds nothing but visceral energy and harrowing emotion that resonates with the listener right down to the last note of the viola.